This Halloween transform into a royal crab. Purchase the King Crab ensemble today. 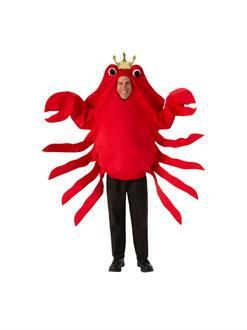 The one-piece costume includes a red, black, and white crab tunic with an attached gold crown. Complete this look with red or black pants and matching shoes. Also accessorize with red face paint.